This second edition of CESA congress has been successful, with a large audience and top experts coming from BMW, PSA, Volkswagen, Bosch, Continental, NXP, Valeo and so many others. Through technical sessions, no less than eight round tables and an attractive exhibition, the congress has kept its promises. But, what did we learn so far, after such intense discussions ? First, electrication of the powertrain is really launched. In the future, we should see more mild hybrid, full hybrid and plug in hybrids, and later on pure EVs. The second point is linked to the first one. Many OEMS and tier 1 suppliers converge on 48 volt, and not only in Germany. Third, the architecture of the future will be for sure mainly based on Ethenet. It's not the only solution, however, and the automotive industry should find ways to simplify E/E architecture, instead of adding more and more embedded networks. Beside the round tables and technical sessions, CESA congress is an opportunity to discover high tech companies and nice vehicles. For instance, Renault is showcasing the famous Zoe. This first EV designed from scratch, which will be launched soon, illustrates the French know how in the field of electro mobility, as well as the VELV, an amazing concept from PSA Peugeot Citroen and also electric. It looks like a three wheeler, but it has four wheels. In the alleys of the exhibition, we also have seen an electric quad. It’s a demonstrator, from Bertrandt company, a german supplier expert of electric components. CESA conference : is there still a driver in the car ? For this day 1 of CESA congress in Paris, one round table should be very popular. It's the one about autonomous cars with driving assistance systems. Many experts from PSA, Volkswagen, Bosch, Freescale, LAB (common safety lab to PSA and Renault), STMicroelectronics and TRW will discuss the evolution of ADAS. As some OEMs (Mercedes, Volvo) announce traffic jam assistant systems and remote control in parking lots (BYD in China), in addition to innovations becoming mainstream (LDW, ACC, emergency braking), the question is : will the technology allow the car drive by itself in the future ? The answer may be yes, but it's not only a technical issue. So, that's why you should attend to CESA 2012 and listen to top experts. For instance, Volkswagen will mention is expertise, thanks to its ERL (Electronics Research Lab) located in the Silicon Valley) with Google as a neighbour. Automobile system is made of sensors and actuators that have to work in harmony in complex interactions. It can be seen as a networked energy grid that has to distribute energy in an ordered way so that vehicle functions are assured. 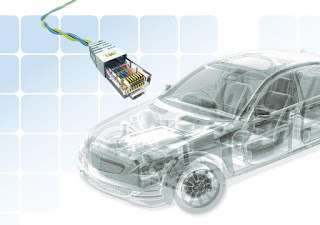 This new vision, called ASG (Automotive Smart Grid), has been developed and prototyped. The ASG solutions is based on synchronous parallel processing and distributed intelligence. Each ECU hosts part of, or, the whole functional process in relation to local sensors & actuators. It deals with instant power management functions in relation to its connected actuators. The data communication and exchange between ECUs is done real-time via PLC (Power Line Communication). The ASG implementation has been tested both in labs and on the road within the frame of the YO-mobile Russian project. During CESA congress, at the energy management round table, the french agency for energy (Ademe) will present R&D projects on charging infrastructure. One of them is called Telewatt project. 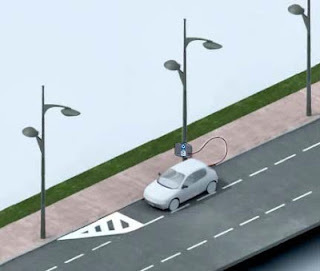 It's one of the most innovative, because the puropose is to offer juice coming from the public lighting. It's an answer to the difficulty to build charging stations in the streets. Located in the south of France, in Aix-en-Provence, this project is led by Citelum company. The project is based on a global information system, as well as plug & play plugs (with IP identification to allow acess to users) and a smartphone application. 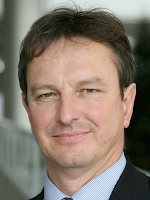 The Telewatt project, and six others, will be presented by Patrick Coroller from Ademe in a keynote speech. 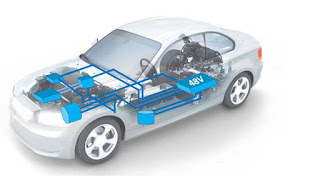 The well established 12V automotive power distribution system is facing some major changes. The main drivers for these changes are better energy efficiency and CO2-reduction. 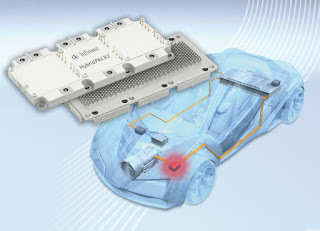 12V Start-stop and 48V Mild-Hybrid solutions are seen as enablers for better efficiency. With the innovative 12V start-stop functions, there are two new upcoming challenges to be solved, powernet stabilization and increased activation cycles. The presentation will show semiconductor solutions for powernet stabilization, like dual battery switches, as well as solutions for replacing mechanical relays. Special interest is here also given to electronic fuse function, weight reduction by improved wire harness and a more flexible power distribution partitioning, as well as a reduction of electric power losses. Since years the demand for Driver Assistant Systems is continuously growing. Forward looking camera and radar applications are gaining popularity. Not only in the luxury car segment, but also in mid end car segments and migrating further into low end cars. In addition the merge of active and passive safety applications towards cognitive safety is progressing rapidly, supported by upcoming changes in the safety rating of cars. 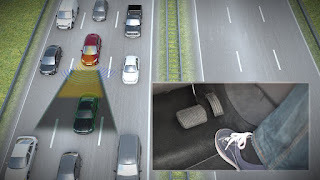 Additional radar and camera sensors are going to be equipped around the car for side and rear looking applications migrating towards 360 degree environmental sensing. Taking advanced development programs at vehicle manufacturer into consideration first semi autonomous driving applications can be expected within this decade. All these trends will lead to a change in the safety electronic architecture. Developing embedded user experiences - challenges and success factors in automotive environment. Automotive product development is based on proven processes and development time that allows carmakers to respond to drivers needs in regards to quality, feature availability and look and feel of the device in the car. When talking about user experience, driver’s expectations are influenced by consumer electronic devices, from interaction point of view (speech and/or gesture recognition) as well as content (graphic attractiveness, apps). 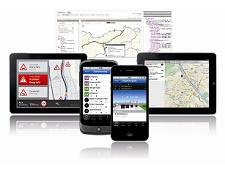 Drivers are expecting the same seamless, simple, easy to use phone and tablet features in their car, while still requiring automotive quality in term of system stability, low driver distraction and updateability during automotive life-time. In partnership with the SIA, the Paris Region Economic Development Agency is organising the CESA Congress VIP Business Tour of 3 of the Paris region's most innovative locations for new mobility. The tour is scheduled on Monday, December 3rd. - 11.30 am to 1 pm : Welcome lunch at Paris Charles-de-Gaulle Airport. - 2 pm to 3.15 pm : Visit of the Autolib operational centre. Autolib is the first public-private service plan with more than 1,700 electric vehicles to be developed in a large European metropolis. 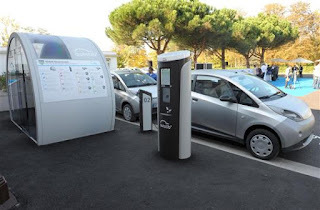 It enables Paris Region inhabitants to rent electric cars for a few hours from interactive terminals located in the streets. Thanks to the VIP Business Tour, you will have the unique opportunity to visit Autolib's hub in Vaucresson and to experiment the electric Blue cars ! - 3.45 pm to 4.45 pm : Visit of the command post of the recently completed A86 motorway tunnel. 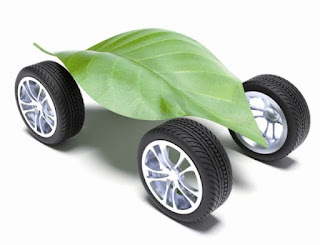 When running on pure electric mode, electrified vehicles offer a very efficient energy conversion. Less than 3 kW in average is needed to drive an EV over an urban cruise. Consequently, the management of additional power demands of thermal functions, e.g. 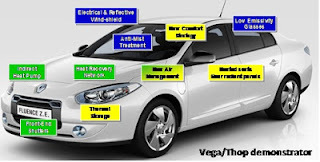 the cooling or the heating of the vehicle passenger cabin, or that of battery and power electronics, has a major impact on the overall vehicle power balance. A new system approach for thermal management, combining an innovative architecture, dedicated technologies and relevant control strategy, becomes decisive to offer a significant cruising range, secure the battery life time and also ensure quick engine response. Only a couple of years ago there were many doubts on a possible implementation and realization of hybrid and electric vehicles as an alternative for vehicles with an ICE powertrain. Today we are in the position to see this differently. “The future automotive powertrain will be electric” is a prognosis of Bosch. The conversion of the powertrain to be electric assisted or become all electric was pushed through significant development effort over the last couple of years. Today we see the hybrid technology being used in many different platforms of almost any OEM and the first all electric vehicles are available from series production. But the electric powertrain is not only revolutionizing the automotive industry. High performance magnets: which properties? which prospects? High performance permanent magnets are a vital component of today’s clean energy technologies (e.g. hybrid vehicles, wind turbines) as well as many consumer appliances and accessories. The recent pricing pressure on the raw materials of rare earth based magnets, owing to the near monopoly of Chinese production of rare earth metals, has driven renewed interest in the study of permanent magnets. In this paper we will recall the fundamentals of permanent magnetism, and outline the essential link between extrinsic properties and microstructure. 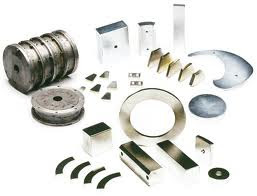 We will describe the evolution in the properties of permanent magnets over the last century, linking the spectacular improvements achieved with the discovery of new phases and the development of improved processing. CESA 2012 will also be the opportunity to showcase the know how of french and european companies, in the field of electronics. Advancy, Applus IDIADA, Bertrandt, Continental, dSPACE, ESG Group, Henkel, IPG, MathWorks, Methodpark, NXP Semiconductors, Robert Bosch, STMicroelectronics, TE Connectivity and Vector. Last but not least - Advantage Austria will be there too with high tech companies. If you want to be there too, please hurry : there is only one booth left. PSA Peugeot Citroën and Renault will present outside demo vehicles. 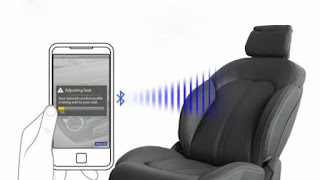 Many comfort functions can be embedded in an automotive seat. These include basic postural comfort (cushion length, height, and tilt), advanced comfort (lumbar support, headrest adjustment, shoulder adjustment), climatic management (heating and ventilation), and wellness features (e.g. customized massage therapies or dynamic adjustments according to occupant status or to driving conditions). All those functions represent a huge amount of possible combinations of configurations and command executions, while they are not at all customizable along the time by the users (generally, just a few have programmable fixed alternatives by default). The full programme is now on line ! 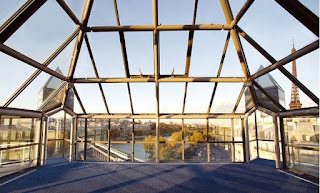 As we told you already, the 2012 edition of the congress has chosen a top level roundtable discussion format, enhanced by more in depth sessions, detailed presentations and discussions of technical papers. 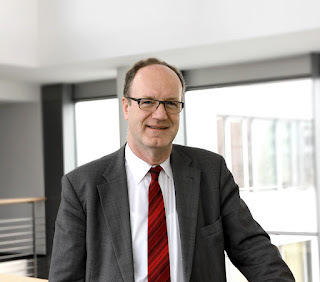 Executive Vice President for the Automotive Division, Hans-Georg Frischkorn will be one of the speakers of CESA 2012. He will participate to the panel session "Vehicle systems and architecture, approach for a new mobility", on december 5th in the afternoon. Expert in technology, with high-level jobs at BMW and GM, he joined ESG in January 2012 and is a member of the Executive Board. 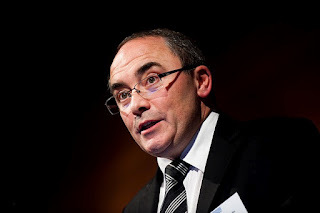 Chief Executive Officer of CLEPA, the European Association of Automotive Suppliers, Jean-Marc Gales will make a keynote speech at CESA 2012 on day 2. 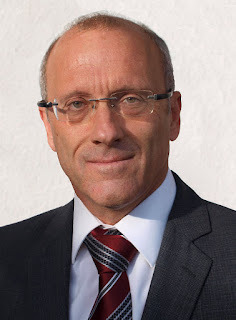 After studying at Imperial College London and the University of Karlsruhe, Jean-Marc joined BMW in 1990 and held various positions in strategic planning, group co-ordination and organisation. Following executive positions at Rolls Royce and Volkswagen, Jean-Marc took up the position of Managing Director, Light Commercial Vehicles at General Motors and this was followed by Managing Director, Sales, Marketing and Customer Service, Central Europe for Opel and Saab. Between 2006 and 2009 Jean-Marc was Global Sales Director, Mercedes Benz. 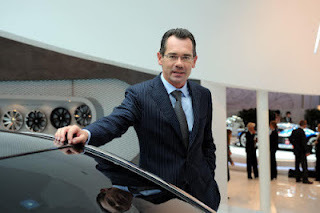 In April 2009 he became Member of the Managing Board of PSA Peugeot Citroën and Executive Vice President, Citroën. In June 2009 Jean-Marc became Member of the Managing Board of PSA Peugeot Citroën and Executive Vice President, Sales, Marketing, Aftersales. As convened, here is a snapshot of Ottmar Sirch's presentation on 48 volt. This paper is scheduled during CESA 2012. As an introduction, our expert from BMW reminds that the continuous increase of functionality for comfort, safety, driver assistance and infotainment systems as well as the insertion of innovations raise the requirements. In combination with the electrification of powertrain functions and ancillary units for CO2 reductions these requirements drive today´s vehicle power supply to its limits. 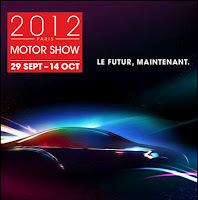 Top expert from BMW, Ottmar Sirch will make a presentation on 48 volt in Paris, during CESA 2012. He's focusing on dual voltage as the responsible for the Predevelopment of Vehicle Electrical Power Supply Systems. In Munich, the predevelopment projects cover all subjects of electrical power supply in vehicles with combustion engines as well as Hybrid and Electric vehicles. Mr Sirch came to SIA office in Suresnes, near Paris to share his vision for 48 v, a few days ago. During the last programme committee meeting, the organisers of the congress have revealed the names of the exhibitors. Next to to the conference room, in Newport room, CESA 2012 will welcome Valeo, Continental, Bosch, STMicroelectronics, TE Connectivity, Vector, as well as the Austrian Embassy (special guest). There is another exhition floor, in Beach room, with dSpace, Mathworks, NXP, as well as Advancy, Idiada, IPG and Method Park. A very few booths are still available. If you're interested, you should book very quickly. Back to business after holidays... CESA programme committee has set up a meeting today in order to fill the blanks and to discuss in depth about round tables (that will have a lot of speakers). An updated version will be available soon on SIA web site. Around Jochen Langheim, Chairman of CESA 2012 and from ST, we could see Jérome Perrin (VeDeCom and Renault), Daniel Pfrimmer and Pauline Senis (SIA), Eric Della Vecchia (Bosch), Michel Valette (NXP), Pierre-Yves Geels (AVL), Thierry Seynaeve (ESG France), Andy Toulemonde (Infineon), Igor Demay (PSA), as well as Nelly Dimey (STMicroelectronics). On phone were Hans-Gerd Krekels (TRW), Gilles Zeppa (Delphi), Khamis Kadiri (PSA) and Emilie Bonnet (SIA). For sure, CESA 2012 will be a successful edition with a high level programme. General Manager of Mov'eo Tec foundation and member of the programme committee of CESA 2012, Jérôme Perrin discusses the creation of VeDeCom institute in France. "In late july, the french governement announced the creation at the end of the year of a R&D center dedicated to carbon free vehicles. It was actually the VeDeCom institute, that has been chosen amongst seven projects. This center is still on the paper. However, we already fill all the conditions for a flying start in early september. VeDeCom relies on the Mov'eo Tec foundation and has strong partners, such as Mov'eo automotive cluster and Yvelines district in west part of Paris. The members from VedeCom are from PSA Peugeot Citroën, Renault, Valeo, STMicroelectronics, Continental, utilities such as EDF, or even aeronautics companies such as Safran. We also have research institutes, like IFSTTAR, INRIA and CEA. 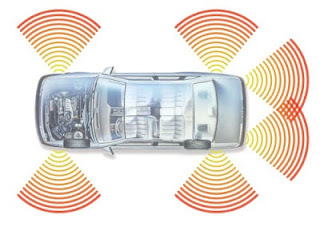 For the next generation In-Vehicle Networking infrastructure beyond CAN and FlexRay, the automotive industry has identified Ethernet as a very promising candidate. Being a standard and commonly used in consumer and industry domains it provides a high re-use factor for components, software and tools. In addition, Ethernet has the required bandwidth capabilities needed for e.g. new driver assistance systems and infotainment. 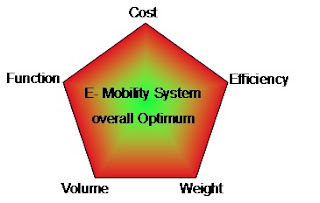 However, to become a success story, solutions for automotive have to be further optimized in terms of scalability, low cost, low power and robustness. 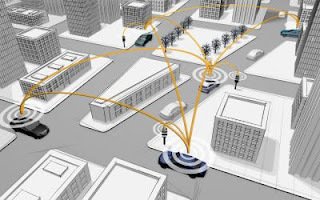 First optimization steps on Physical Layer level have been already made but more innovations are needed and streamlined for automotive use cases. This paper discusses new topologies and components and describes an evolutionary path starting from available technology made for consumer domains to advanced systems for automotive applications. For the first time, Austrian companies* will showcase their cutting-edge technology and high-quality products in the field of automotive electronics in Paris, during CESA 2012. ADVANTAGE AUSTRIA Paris (Austrian Trade Commission) will be hosting an Austrian Pavilion. 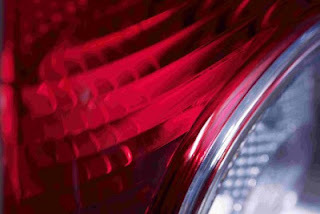 Through innovative product ideas, engineering expertise and the fulfillment of the highest quality standards, the companies in the Austrian automotive industry and its component suppliers have continuously strengthened their position on the global market and established a fine reputation as reliable development and production partner for vehicle manufacturers all over the world. After several years of intensive preparation, Sim TD project enters in a test phase in the greater Frankfurt am Main area with a fleet of 120 vehicles from German car makers. The field test will last until the end of the year and include various studies on car-to-car technology and its impact on increasing traffic safety and efficiency. Around 450 test drivers will take part. Each car has a network link to the others, as well as to the traffic infrastructure, and they will keep each other updated about the current traffic situation. 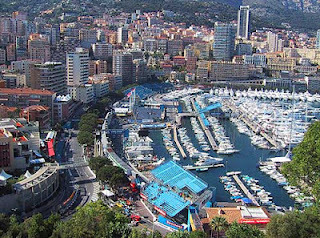 The Principality of Monaco and Bosch have agreed to create together the “connected city” concept, which outlines the possibilities for connecting information and communications systems, buildings, institutions, and elements of the infrastructure. Bosch will draw up a feasibility study. Over the past years, the company has devoted a lot of attention to the subject of connectivity, and worked in the areas of smart sensors and the internet of things and services. In addition, Bosch has extensive know-how when it comes to controlling complex systems. The Principality of Monaco is interested in preserving the exceptionally high quality of life in the city state, and regards the concept as a further extension of its activities to promote sustainability. It hopes to develop and implement solutions in areas such as mobility, energy, healthcare, and communications. Marc Duval-Destin is Research and Advanced Engineering VP at PSA Peugeot Citroën. For CESA blog, as member of the Executive committee, he gives his vision of this international event. "CESA is a true forum. In France, we are not very familiar with open discussions on technology. There is a tradition of secret. There is a dialogue between PSA, Renault and Valeo, but it was not the case with our colleagues from other OEMS. This event is the opportunity to discuss with top experts the latest trends and main challenges. We can have direct conversations on hot topics. From my point of view, CESA should be the mirror of what we are doing in France with VeDeCom institute in Paris area. This facility is dedicated to research on carbon free vehicles of the future, connectivity, automated driving and new mobility services". Marc Duval-Destin is Research and Advanced Engineering VP at PSA Peugeot Citroën. 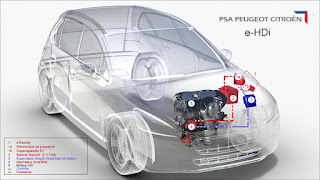 For CESA blog, he talks about next generation powertrains. "The evolution of powertrains is very similar to the evolution of species on Earth. OEMS have to adapt themselves to a new landscape, due to regulations for CO2 and pollution. Thanks to new technologies, in the field of combustion or admission, the average consumption will be reduced by 10 to 15 per cent in 2020. That's very important in only ten years. Of course, electrification is the main topic today. Up to 8 billion dollars have been invested in battery technologies in the whole world. There is now a very large offer, from Stop & Start to range extender, including battery electric vehicles and plug in hybrids. I think that all these solutions will compete for the next decade. After 2020, the market will then choose the best options. Marc Duval-Destin is Research and Advanced Engineering VP at PSA Peugeot Citroën. For CESA blog, he talks about automated driving. 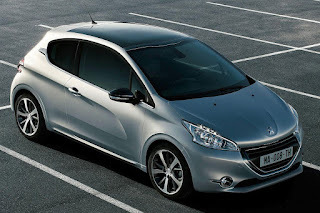 "In a few months, our Peugeot 208 will be offering automated park assist. This feature is not that new on the market place. Many other OEMS have implemented that technology that lets the car park by itself, calculating if there is room enough and turning automatically the steering wheel. But, it will be the fist time ever that this equipement will be available on a mass production vehicle. With EuroNCAP decision, to promote AEB (Automated Emergency Braking systems), the OEMS will integrate more and more sensors to enhance safety. Thanks to cost reduction, radars, cameras or lidar will spread on model series between 2015 and 2020. 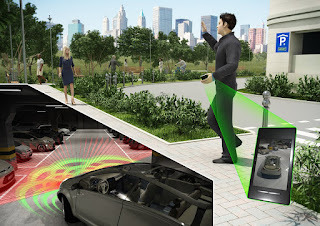 The technology already enables the car to evaluate the driver concentration with accurate sensors and algorithms. Marc Duval-Destin is Research and Advanced Engineering VP at PSA Peugeot Citroën. For CESA blog, he explains how is organised R&D for the french OEM. "When I arrived at the head of our R&D division (called DRIA*) three years ago, I decided to shift from engineering to innovation. Our aim is to open ourselves to new partners, such as Open Labs and other industrial companies outside the automotive industry. For instance, we have common works with EADS. It helps in order to better integrate composite materials and to save weight.